Jordan Brand is expected to release excellent retro kicks and new colorways of their latest models this Holiday Season and one just recently arrived at retailers. Now available for retail is the “Taxi” edition of the Air Jordan 12 Retro. Listed as the White/Black-Taxi colorway, this one is a familiar edition because it was released by JB in 2008 as part of the XI/XII Collezione that year. 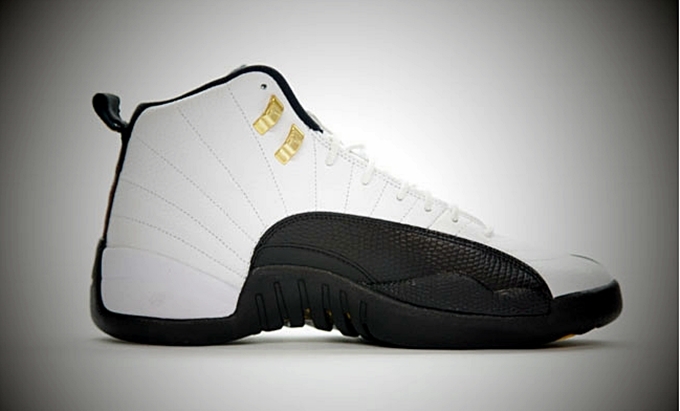 The AJ 12 “Taxi” features a black and white upper part with gold eyelets. Make sure to check this retro kick!